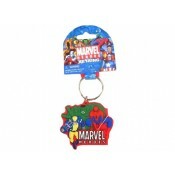 UK Retailer of Superhero Merchandise! www.SuperheroHaven.com - We've done everything possible to make navigation of our site easy so you can find your hero either by Superhero Character, Affiliation/Comic Series, and more search options coming soon. We appreciate your feedback, if you're struggling to find a product, don't hesitate to conact us! Listed on Ebid - We also list all our products on the auction site Ebid, so if you already have an account setup, it might be easier for you to purchase through that site, also worth checking there for sale items too! Listed on Ebay - We also list our products on ebay, if you prefer purchasing using your ebay account, you should be able to find our most popular products listed with highly competitive Buy It now prices! Product Catalogue, Facebook, Twitter and More! 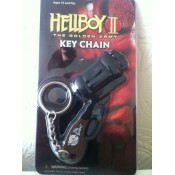 Twitter - We'll post highly anticipated product additions, comic news, stock clearance and offers. We'll also add limited number discount coupon codes which reduce your total purchase price, these are on a first come first served basis, so check often! Avengers - The Earths mightiest heroes, directed by S.H.I.E.L.D's Nick Fury, currently consisting of Iron Man, Thor, Captain America, Hawkeye and Black Widow. In the recent film, they fight Loki an Asgardian God seeking revenge on his brother Thor. In other battles, they fight against Skrulls, Ultron, Kang, Skarlet Witch. Captain America - The alter ego of Steve Rogers, a frail young man who was enhanced to the peak of human perfection to aid with the US war effort. Wearing the costume that bears the american flag itself and is armed with an indestructable shield, he fights for all that is good! Spiderman - bitten by a radioactive spider, gains super strength, agility, danger alerting spidersense, and amazing ability to climb and travel with webs. .Lives two lives, a costumed crime fighter, and that of Peter Parker. Popular Villains: The Green Goblin, Sandman, Doctor Octopus and Venom! 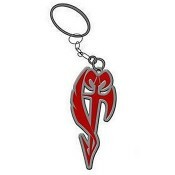 T-Shirts, Hoodies, Hats, Belts, Bags & More! T-shirts - Buy your favourite hero t-shirt for the summer, Superhero Haven has an ever growing selection of T-shirts, both male and female, be sure to check out our Batman, Wolverine, X-Men and Avengers T-Shirts! Hats & Headwear - Whether it's to keep you warm or the sun out of your eyes, we've got a growing selection of the coolest SuperHero hats in existence, be sure to check out our Batman, Wolverine, X-Men and Avengers T-Shirts! Hoodies & Jumpers - Wrap up warm in on those blustery days with a quality hero branded Hoodie, we've got a growing selection of Superhero related Hoodies and Jumpers for immediate dispatch, be sure to check out Captain America hoodies! 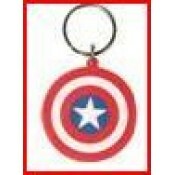 Bags & Rucksacks - Wrap up warm in on those blustery days with a quality hero branded Hoodie, we've got a growing selection of Superhero related Hoodies and Jumpers for immediate dispatch, be sure to check out Captain America hoodies! Belts & Buckles- check out our trendy belts & buckles, we're always adding new items to our stock so check back regularly, if there's anything you're after please don't hesitate to Contact Us, we would be happy to help! Action Figure - fun to play with, pit your favourite Hero and Villain against each other, or for collectors, we stock a constantly growing range of hero Action Figures from top brands like Marvel and DC, if there's a particular character you want, please Contact Us! Busts - if only your nan had ornaments like these!!? these busts have amazing detail and will look fantastic wherever you display them, why not browse our range, they make fantastic presents for any fan or person interested in superheroes. Mugs & Cups - Every hero has downtime, so why not refresh yourself by drinking your favourite brew from a hero branded cup, our selection is still growing, if there's something specific you're after, please Contact Us. Bowls - Brighten the start of your day, or that of your children by having a hero breakfast, we've got a growing selection of Superhero cereal bowls for immediate dispatch, be sure to check out our Batman Bowls! 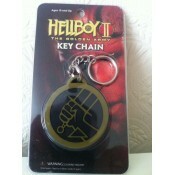 All Orders are Sent by Royal Mail 1st Class (1-2 days) or the Award Wining Collect+ (3-5)Service with Tracking. If you are unhappy with your purchase, or it has arrived damaged, please use the following contact form to return your item. Check out our sitemap, every link, every section, every hero all in one place, right here. 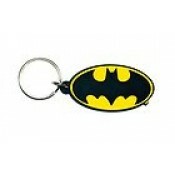 Batman Symbol Rubber Keychain ..
Captain America Shield rubber Keychain The Avengers Assemble! 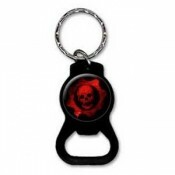 ..
Devil May Cry Metal Symbol Keyring ..
Metal bottle opener from the videogame Gears of War for the Xbox 360. It shows the game's logo. 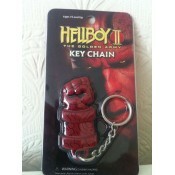 M..
Hellboy 2 Keychain (key chain) Big Baby ..
Hellboy 2 Keychain The Right Hand of Doom ..
HellBoy 2 Symbol Keychain (key chain) BPRD ..
Marvel Heroes Laser Cut Key Ring ..
Ninja Gaiden Rubber Keyring ..
Officially licensed Superman Metal key ring. 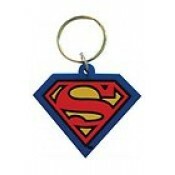 ..
Superman Symbol rubber Keychain ..
X-Men Logo rubber Keychain ..